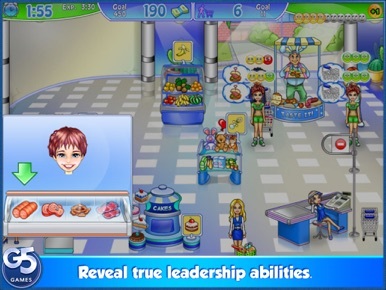 Try your hand at managing a supermarket and learn how to make it to the top of the corporate ladder! Published: 2014-04-24, by Peter Warrior. Run to satisfy customer's needs. Let's hope that next time in G5land a fresh out bachelor can aspire to something a little better than working as a cashier. With all our respect for cashiers, of course. Kate has just ended her years as a college girl and has to find a job, but she's so smart that when she finds herself trapped in a traffic jam she can solve it with a wink. A handsome CEO of a supermarket chain that was also trapped in that jam though it was a good idea to hire graduate Kate...as a supermarket worker. A true-life story, indeed. 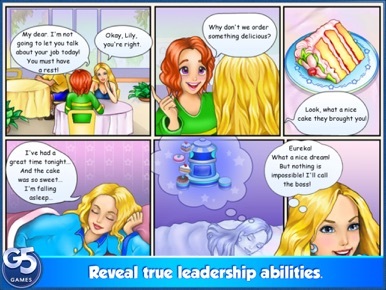 Well, here we are, helping Kate to climb to the top of the corporate ladder, from moving the carts and replacing stuff on the shelves to hiring co-workers and opening new shops. 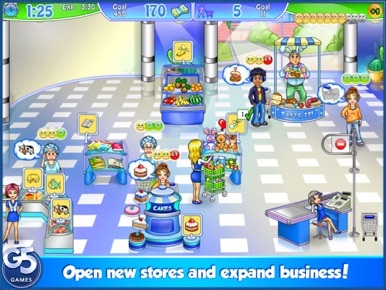 Gameplay is identical to other Supermarket G5's games, even more stressing, if such a thing is possible, because you can tap repeatedly on a shelf to stuff it faster and have to guide customers to the products they're looking for if they get lost. 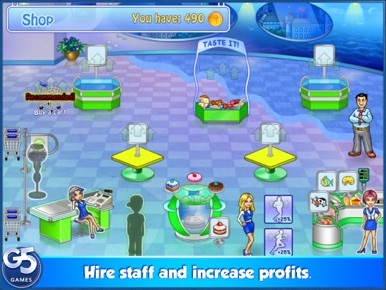 Likewise, customers will get more demanding as your shop gets more and better products to sell. 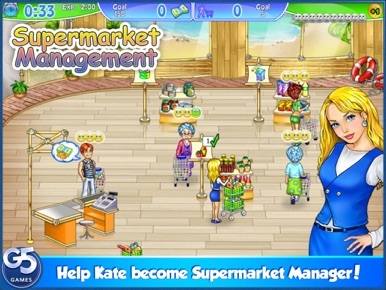 SuperMarket Management may not be the best G5's time management game, but it's fun to play. Includes the first levels before you upgrade through an in-app purchase and unlock the full adventure.